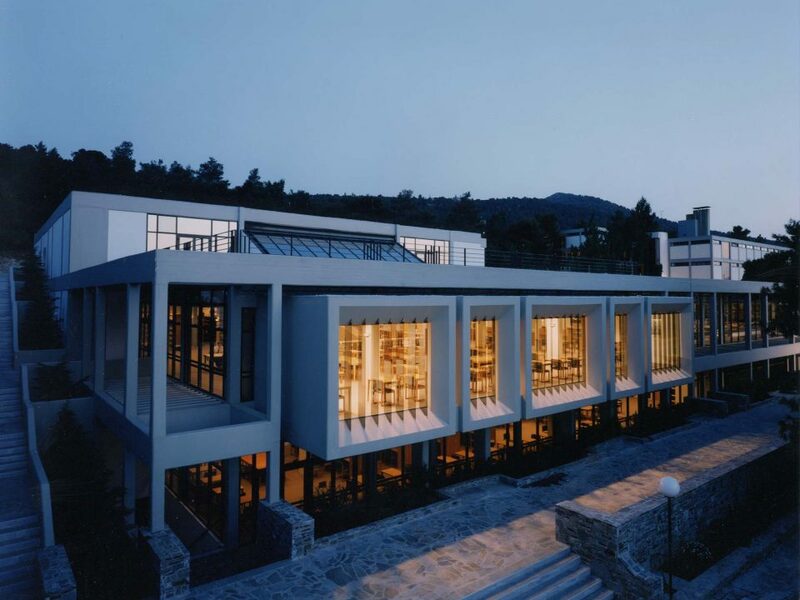 Tappe Architects, in association with John Cunningham Architects, designed a new library for the Holy Cross Greek Orthodox School of Theology, Hellenic College. The siting and design of the new library connect this vertically fragmented campus by joining the upper administrative level of the campus with the lower classroom/gymnasium facility. 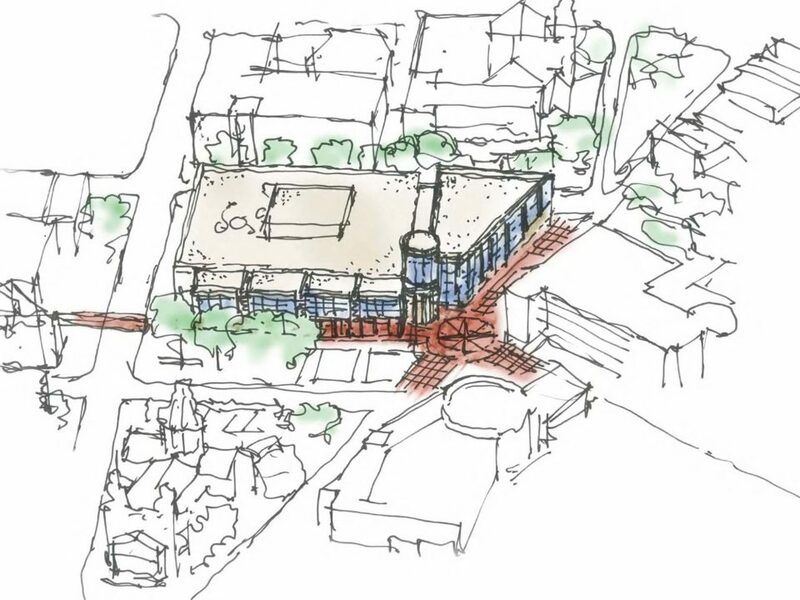 An interior pedestrian street is envisioned, with places for repose and for interaction, serving as a central circulation spine, protected from New England winters. The library is designed on four levels. 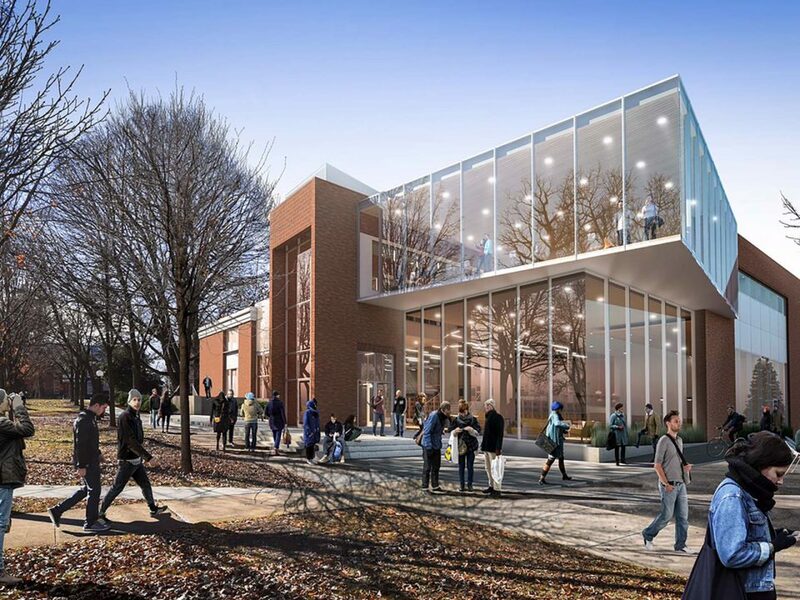 The upper levels three and four front existing administration facilities to reinforce the notion of a campus center. 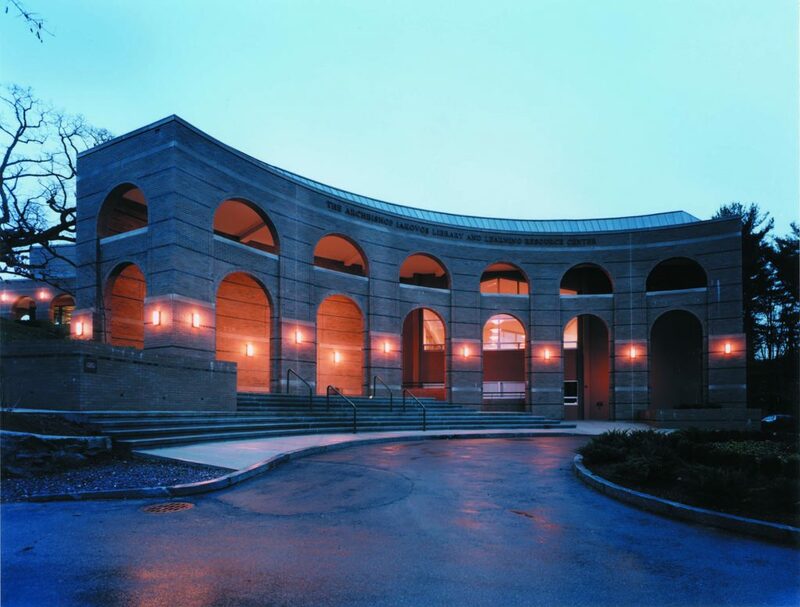 Rare books and manuscripts are housed in the fourth level under a domed structure. Entry to the library/classroom complex on level two as well as the pedestrian connection to the upper campus is provided at the lower level of the hillside. 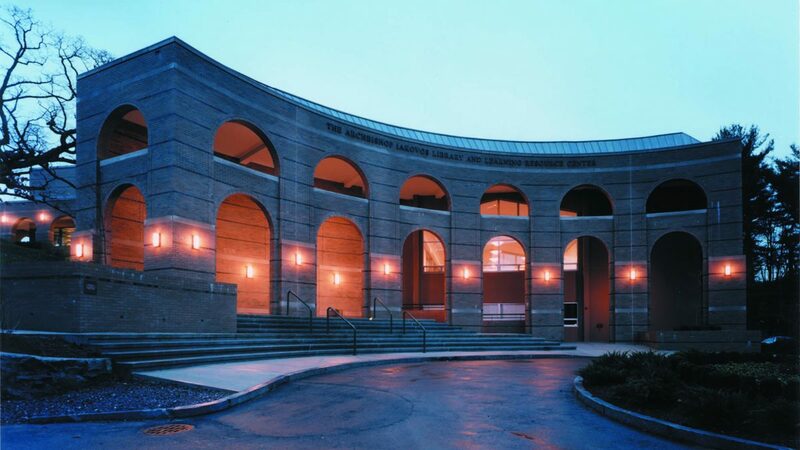 A curved arcade, which extends in front of the existing library, provides a welcoming presence to the campus. Circulation and parking in this area are organized more formally in order to define an “arrival” point for the campus. The first floor, which is a half level below level two, houses conference facilities, service, and mechanical and electrical equipment. 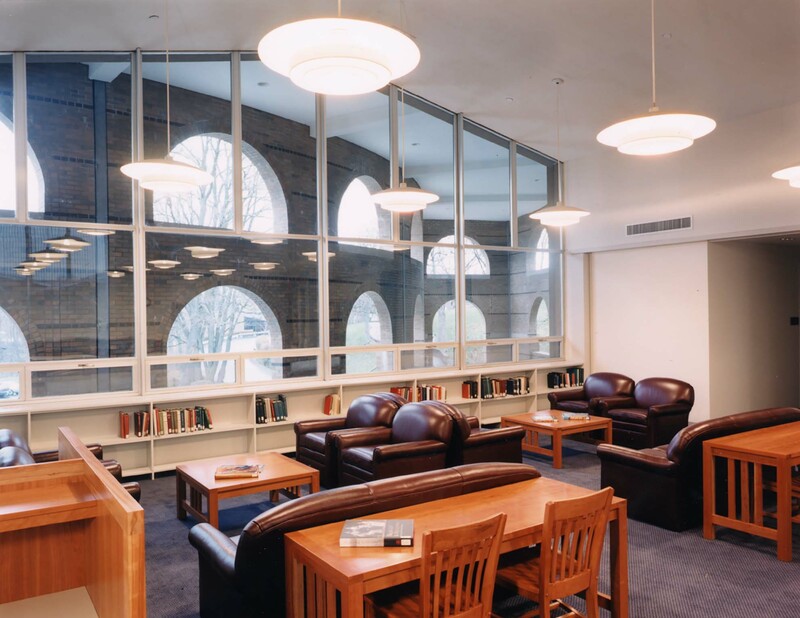 The Archbishop Lakovos Library and Learning Resource Center serves the school and the greater academic and religious community by supporting the curricula of the undergraduate college and the master’s level theological seminary programs and by offering research materials for scholarly work. 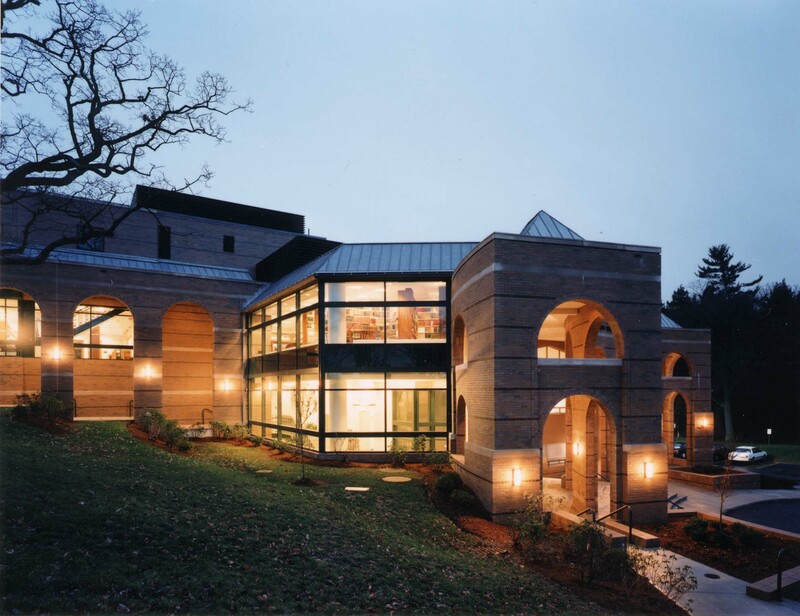 In addition to the 60,000- volume print collection, the holdings of the Library include a rare book collection in Orthodox Greek, and general religious studies, as well as an archive of materials related to the Greek Orthodox Archdiocese of America.